Hello again from Cabo! Since arriving on Christmas eve, I’ve spent most of my time lounging around at the resort and reading (so many great book reviews coming up!) But in addition to reading, I’ve also participated in a tequila tasting, sunrise yoga, a day trip to San Jose, and lots of great meals! Some of my favorite restaurants in Cabo include The Office and Cocina del Mar. Cabo has been a wonderful escape from the chaos of moving. (If you missed my announcement about moving, check out this post.) You might even say it was….magical, so thanks Santa! See what I did there? That was my segue into the book review. 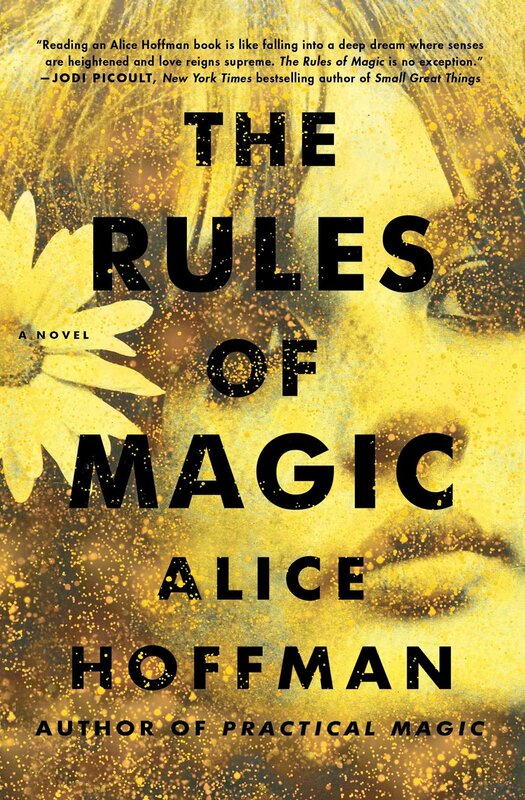 So Let’s talk about The Rules of Magic by Alice Hoffman. Did you read Practical Magic? Or perhaps you just saw the movie with Nicole Kidman and Sandra Bullock? Well The Rules of Magic is the prequel to that story. We learn about the Owens siblings: Franny, Jet, and Vincent. These are the great-aunts that appeared in Practical Magic - but how did Sally and Gillian end up living with Franny and Jet? The story starts off with the three Owens siblings as very young children with two loving parents and great-aunts of their own. They spend a summer with their aunt Isabella to learn more about who they are and their gifts. They also learn about the family curse - anyone they love will come to ruin. And poor Jet is the first to fall involve and quickly finds how devastating the curse can be. Throughout the book we read how each Owens sibling deals with the curse and protects the ones they love. The book has a third-person omniscient narrator, which means the narrator is not a character in the book and they are all-knowing. Essentially they know the thoughts and feelings of every character in the book. Sometimes I have a harder time making a connection to characters when the story is not told from their point of view - I think I tend to gravitate toward books where the point of view shifts from chapter to chapter for this very reason. But in this case, the narrator added a bit to the mystique of the characters being witches and I really enjoyed that aspect of the book. Last but not least I want to say a little bit about the bracelet I’m wearing in these photos. This is the Black Onyx Gold Bangle from Landon Lacey Jewelry - it is currently on sale for $18.70. One of my favorite things about blogging is the community (shout out to Chicagogrammers and Windy City Bloggers - two great social media communities in Chicago) which result in collaborations and connections with local businesses and fellow bloggers. This is how I found out about Landon Lacey Jewelry - a local jewelry designer in Chicago. They gifted me a piece from their collection and I chose this bracelet which I thought would pair well with The Rules of Magic. Click on the link above to see their full collection of jewelry.